FIA, the owner of WRC, F1 and WRX, has created a completely new racing series for everyday drivers, FIA Smart Driving Challenge. It is the world’s first competition, where you compete in smart, safe and ecofriendly driving. The FIA SDC is a global competition for the everyday driver. Motorists all over the world can join the competition by using their own car and smartphone together with the FIA SMART app and a plug-in (OBD-reader). Each participant will chooses a team for which they will be competing for, and each team will be led by a FIA professional racing star. The racing stars will be coaching their own team to become one of the top 3 teams. The best drivers will meet in a big final competition in connection with the prize ceremony that FIA arranges each year to celebrate the winners of each racing series. The final will be held in Paris, December 2019. The racing series FIA SDC will consist of 20 year, in which each heat is one week long. The first heat will commence in Februrary, the same week as Rally Sweden. 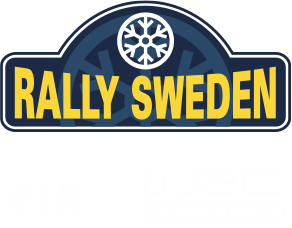 The FIA SDC together with Rally Sweden arrange a separate “sub-heat”, in which participants will compete during the same days as Rally Sweden (14-17 february). Each day there will be a winner announced and be rewarded with prizes. To be able to participate in FIA SDC you’ll buy a starting package for all 20 heats (the price is €44). A OBD-reader (worth €70) is included in the promotional price. The FIA SDC starting package can be purchased online. You’ll also be able to purchase it during Rally Sweden at FIA SDC, which will be located in Torsby Service Park.